Registration deadline to receive a T-Shirt is July 8th. 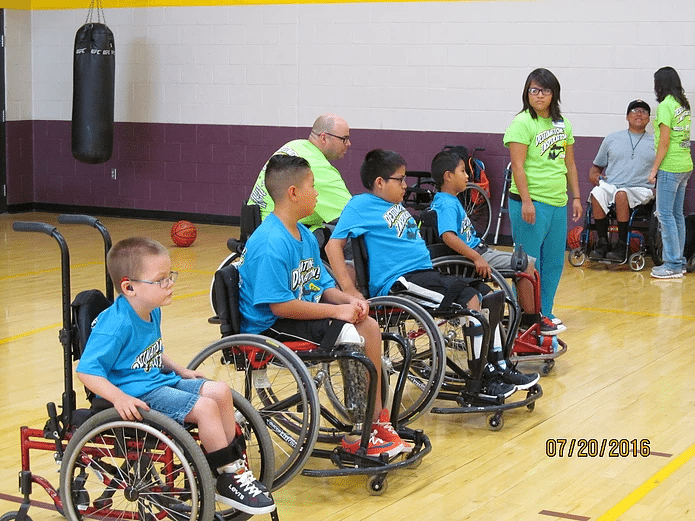 To provide children with permanent physical disabilities the opportunity to participate in adaptive sports year round. However, we are able to accommodate in the case of limited ability. 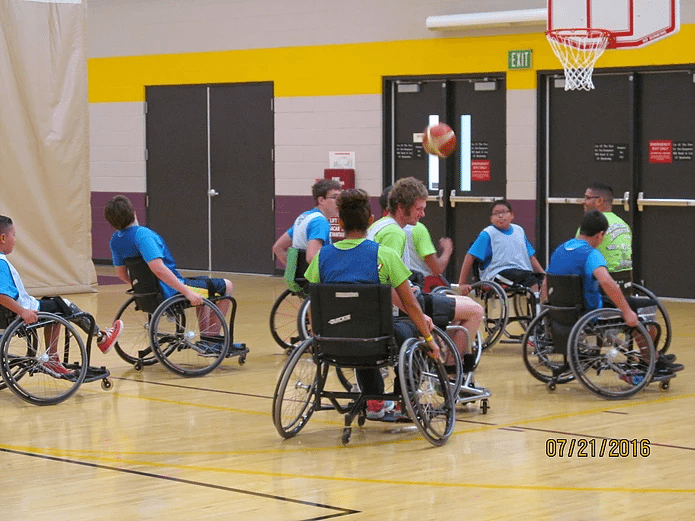 What adaptive sports will be offered? 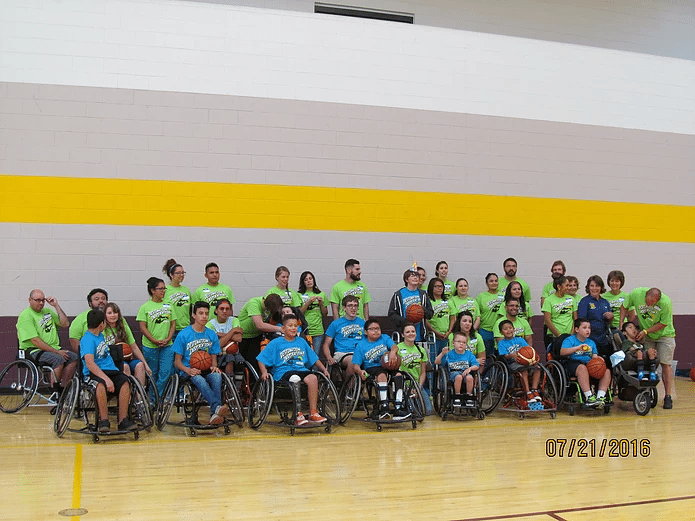 This year’s camp is offering Wheelchair Basketball, Cycling, Archery, Rock Wall Climbing, Dancing, Arts, Kayak, Swimming, Golfing, and a variety of games and activities. Who will be assisting my child? 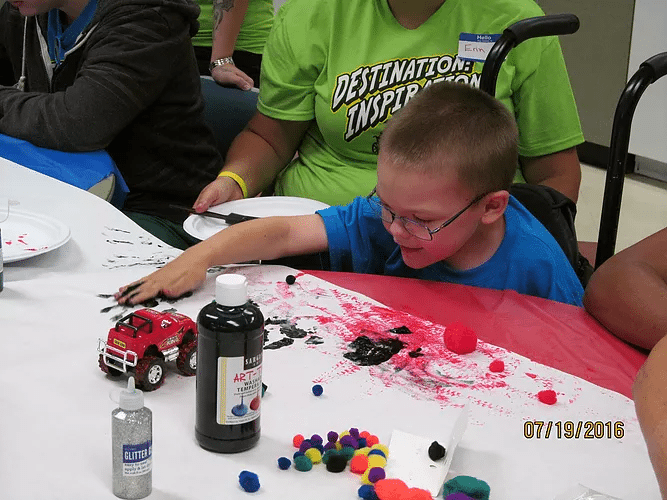 Our staff and instructors have years of experience working with children with physical disabilities. 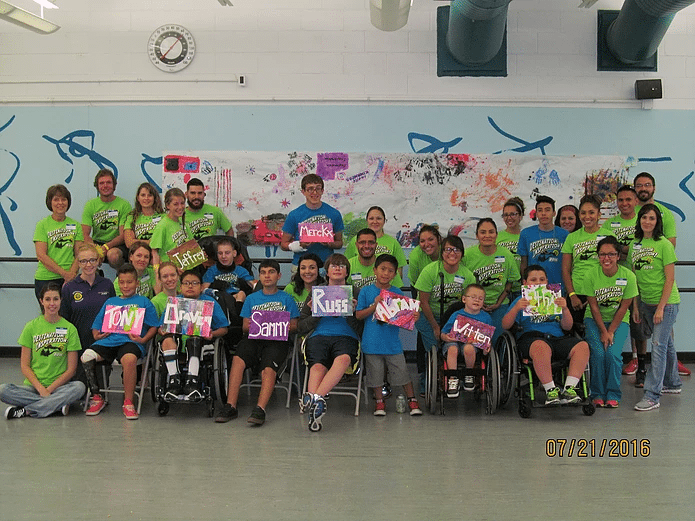 We utilize not only volunteers ages 14 and older but also medical professional student volunteers and trained professionals including Physical Therapists, Occupational Therapists, Licensed PTAs, registered Nurses and individuals with rehabilitation and adaptive sports education. All staff and volunteers must pass a background check in order to participate. 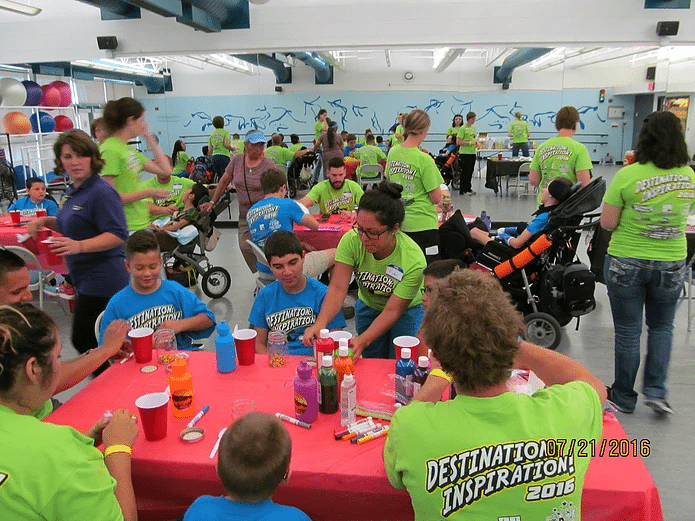 Each child will be paired with a volunteer that best suits their needs. A qualified nurse is available daily for children requiring special medical attention. Scholarships Available. Donation can be made at check in the first day of camp. Cash and Check accepted.